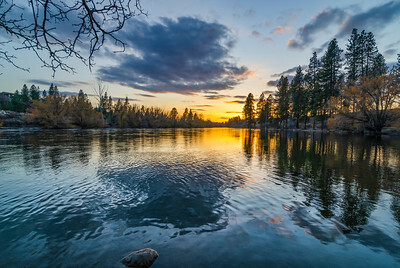 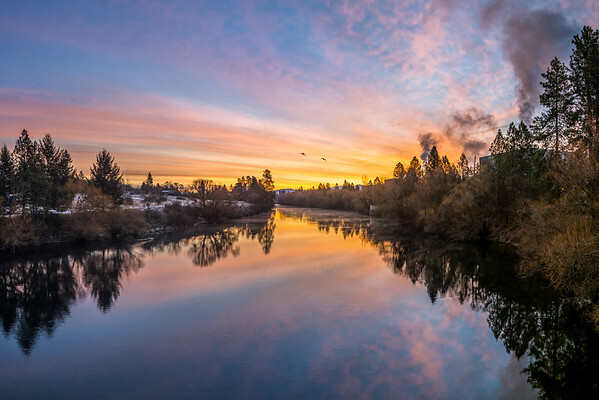 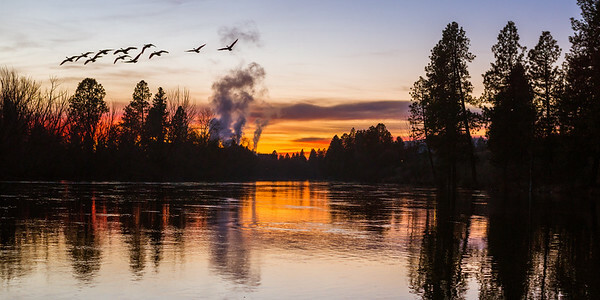 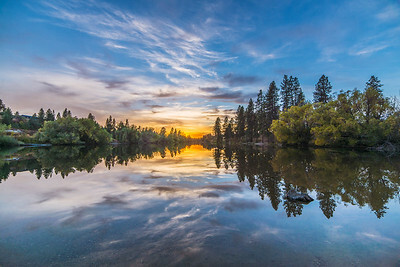 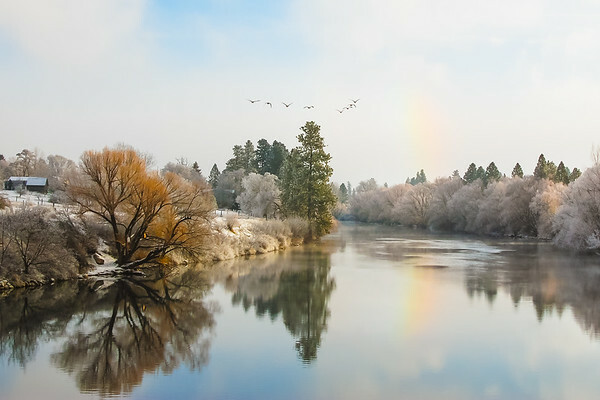 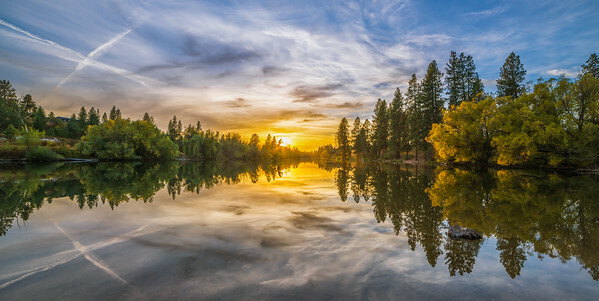 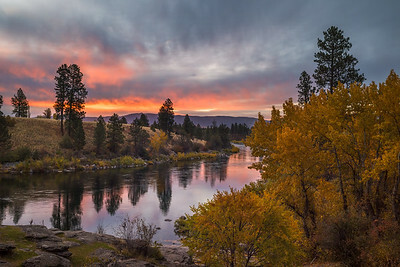 The Spokane River in Millwood, WA. 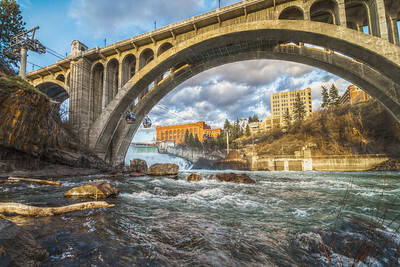 Spokane River scene from Donkey Island in Spokane Valley. 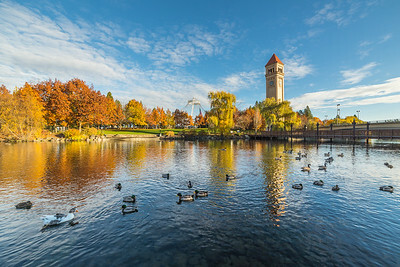 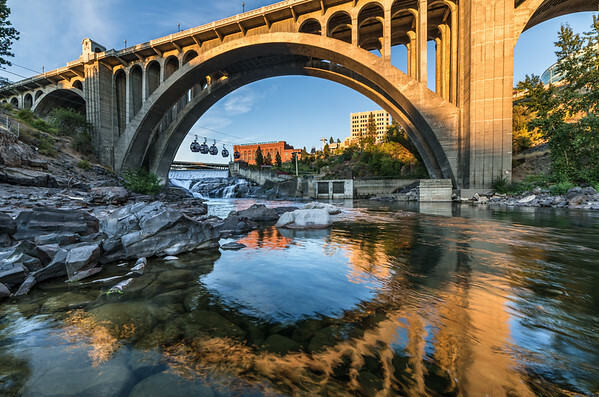 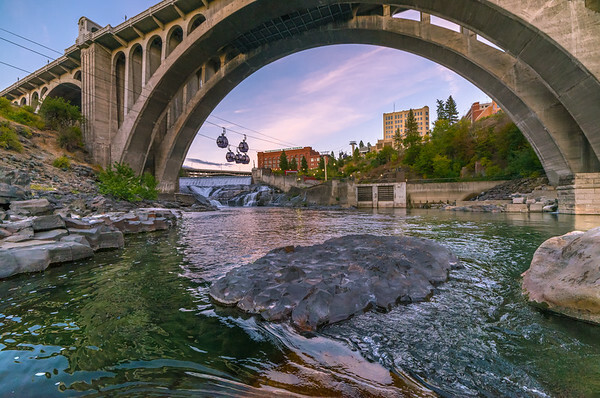 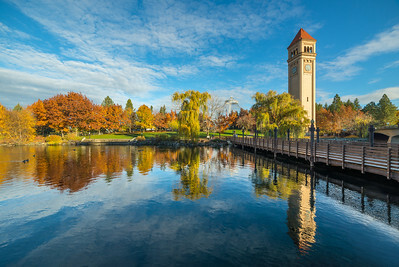 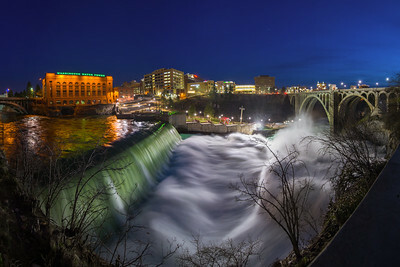 The Monroe Street Bridge towers over Spokane Falls with the Washington Water Power building and City Hall looming on the riverside. 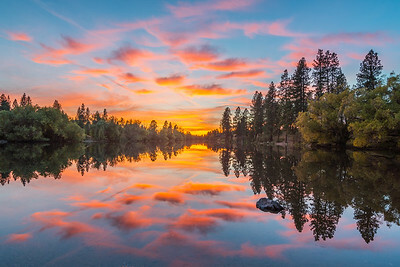 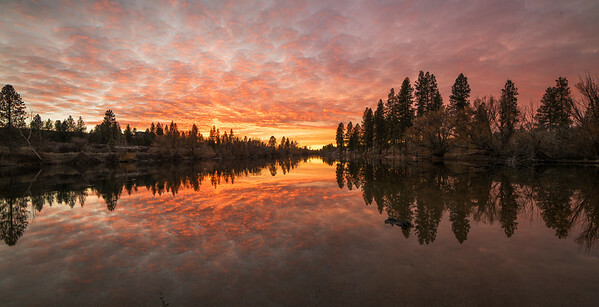 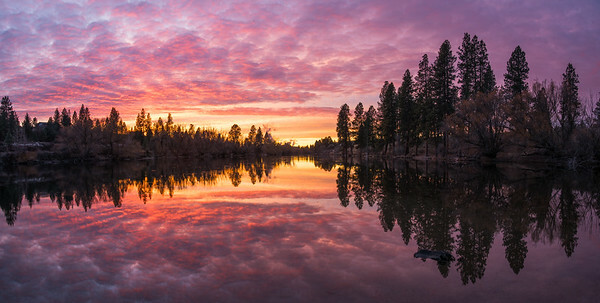 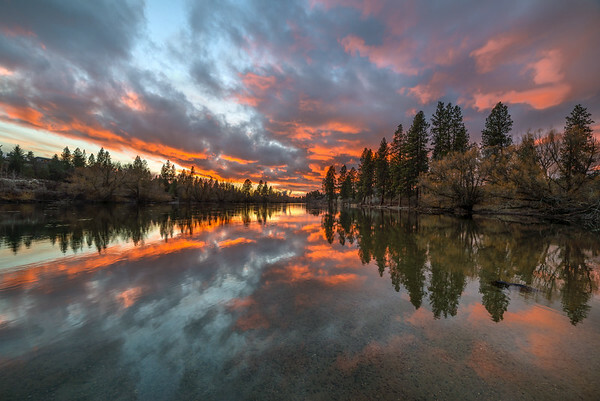 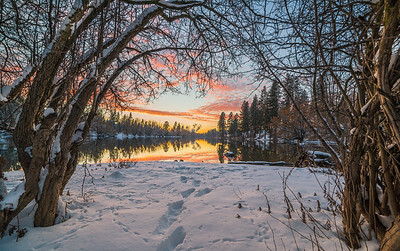 Spokane River sunset in Millwood, Washington next to the Centennial Trail.